Xiaomi launched its smartphone Redmi 3 today in china at a price of CNY 699. It is around Rs. 7000 in India. This budget-friendly smart phone is sure to hit the Indian market since the other two Mi phones of the same category, Redmi 1S and Redmi 2 have made their marks in the Indian market. 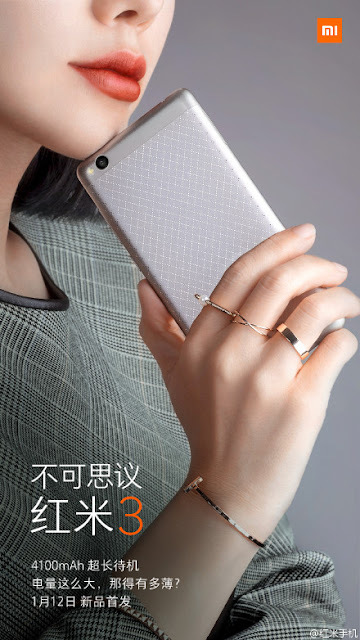 Xiaomi has replaced the material of the device’s body from plastic to metal. The metal body has its rear panel textured. The smartphone is available in 3 color variants being Gold, Silver and Grey. The phone is also equipped with a charming 5-inch HD display of 720p resolution and carries a 1.2GHz octa core Qualcomm Snapdragon 616 processor. The RAM accounts to 2 GB and an internal storage capacity of 16 GB is provided also provided. Expandable memory slot supports micro SD cards of up to 128 GB. Redmi 3 runs on Android-based MIUI 7 user interface. It has a 13 MP rare camera along with an LED flash and a 5 MP front camera. The device supports two SIM cards (dual SIM) and holds good for 4G SIM cards as well. The connectivity options available are the common ones such as Bluetooth, WiFi and more. The battery that powers the device is of 4100mAh capacity and cannot be dismantled from the phone. This feature enables fast charging of the phone. Unocoin Violated RBI’s White Label ATM Policy?